Maddie's Me Bag is a sweet story about a courageous girl who has diabetes. When it's Maddie's turn to share a Me Bag with her third-grade classmates, she teaches them about the tools she uses to live an active, healthy life. Maddie shares other items that are special to her, proving that she can accomplish anything! Maddie's Me Bag is based on an actual activity author and teacher Laura Heitert completed with her third-grade students. She kicked off the event by bringing in her own Me Bag, filled with items to share with the kids. The goal was for each student to take turns each week sharing items that described and defined them. After each Me Bag was shared, classmates would complete a writing assignment by finishing the sentence, "You are BEARY special because...." The student who brought in that day's Me Bag would take home the collection of notes. YOU ARE BEARY SPECIAL BECAUSE___________________________________________________________! Author Laura Heitert's Me Bag contained items that would express her hobbies, special qualities and life outside of school. 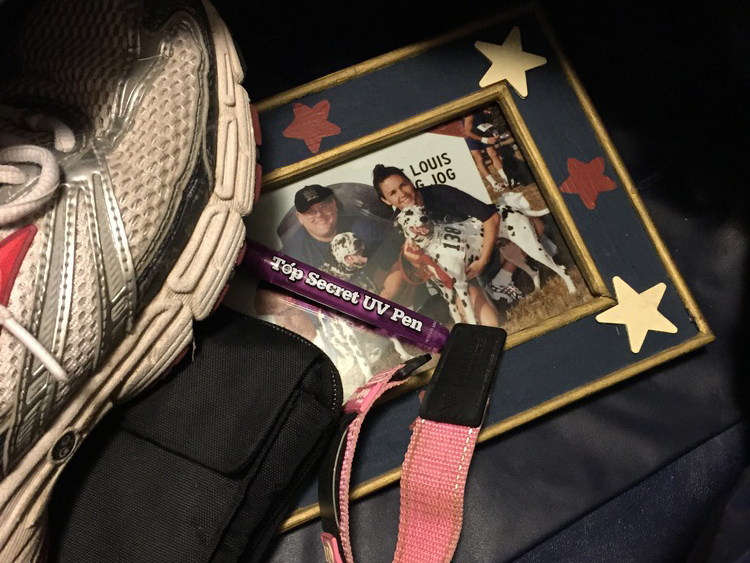 The items included a photo of her family members at that time, a purple pen, running shoes and her medical identification bracelet. Meet Maddie, a delightful girl with a SWEET secret. Maddie's Me Bag is a story about a girl with diabetes. Through a classroom activity, Maddie teaches her classmates about tools and resources she uses to live a healthy, happy life. But diabetes isn't the only thing that makes her special. What else does Maddie have in her Me Bag? Above is an early sketch of Maddie. Maddie's image is based on Laura's daughter. The illustrator did a wonderful job capturing her personality!